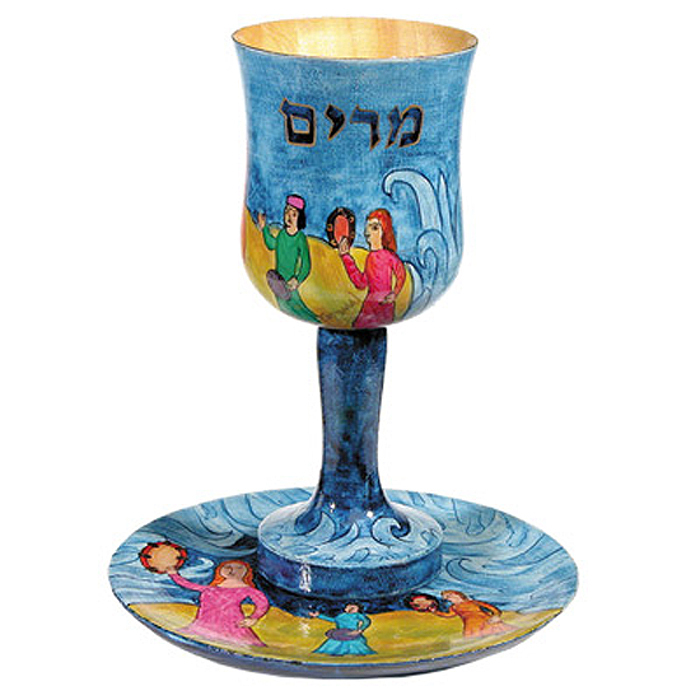 Brightly painted wood Goblet for Miriam designed by Yair Emanuel will add an colorful feminine touch to your Pesach Seder table. This oversized goblet designated to celebrate Miriam's part in the Exodus story has a handpainted design of Miriam playing her tamborine. A coordinating seder plate, matzah tray, Elijah cup, matzah cover and Afikomen bag are available for purchase separately.